CLEVELAND – The Boston Celtics have something that nearly every other NBA team does not: absurd depth. That depth was on full display during Tuesday’s 103-96 win over the Cleveland Cavaliers. Boston played without two starters in Kyrie Irving and Marcus Morris, but used three other starter-level players to fill their shoes. The trio of Jaylen Brown, Gordon Hayward and Terry Rozier, all of whom are full-time reserves for the Celtics, combined for 39 points, 18 rebounds, nine assists and five steals during the victory. Boston’s red-hot offense also remained maintained its production level while that trio garnered major minutes. The Celtics shot 48.8 percent from the field and tallied 29 assists on the night. Guys oftentimes step up for other teams when starters miss games. The difference in Boston is that the C’s have the luxury of replacing their injured starters with players who would be starting for many teams around the league. In fact, Brown and Rozier did start for the Celtics last season while the team made its run to Game 7 of the Conference Finals. 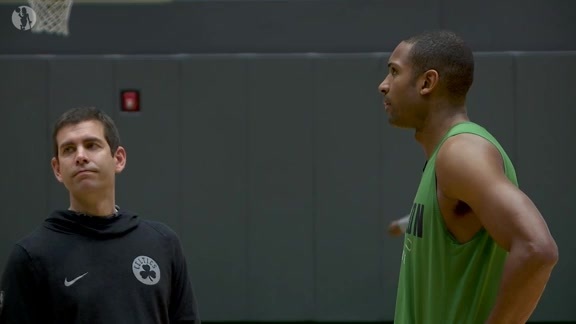 Tuesday night, they joined Marcus Smart, Jayson Tatum and Al Horford in the starting unit, which reignited a fivesome that was at the backbone of the team’s storybook run last postseason. They could also count on Hayward on this night, as he came off the bench as a super-sub to provide 18 points, six rebounds, five assists, a steal and a blocked shot. Hayward is not just a starter-level player; he is a former All-Star who started every game he played in during the previous five NBA seasons. He looked the part Tuesday night as he excelled in more of a facilitator role due to Irving’s absence. That part of his game stood out to Brad Stevens. “I thought his offensive playmaking – passing the ball – was as good as his scoring,” Stevens said. All of this production was a reminder of the lofty thoughts attached to the Celtics before this season even began. The belief heading into this season was that they would own an embarrassment of riches when it came to depth. As the season has worn on, that belief has been born into existence, and they aren’t afraid to acknowledge it. Other teams aren’t so lucky to face it. Boston is now 7-2 when Rozier fills in for Irving in the starting lineup. It is 10-1 when Hayward scores 15 or more points. It is 22-9 since Dec. 6, when Jaylen Brown began to catch his rhythm and after which he has averaged 19.9 points per 36 minutes, which ranks second on the team. Other teams replace injured starters with reserves. As we saw Tuesday night, the Celtics replace injured starters with starters, and then they have even more starters available on the bench. That type of depth, folks, is utterly absurd.